But to ignore Qatar in the 21st Century is to ignore a great deal. This a country that is firmly enmeshed in the economic and political landscape of the new millenium. It has not only been named the world’s richest country by Forbes but has also hosted several summits of the World Trade Organisation. Oil and natural gas are largely to thank for Qatar’s great wealth and growing importance. A poor nation before the vast energy reserves were discovered in the 1950s, oil money led to large scale improvements in infrastructure and quality of life for the Emirate’s citizens. It also started the trend of attracting large numbers of foreign workers who are needed to maintain economic growth and who largely share in the higher standard of living, low tax environment of the Gulf state. This huge national wealth does of course come with some drawbacks. The government is an hereditary emir – currently Tamim bin Hamad Al Thani – who selects a Prime Minister by fiat and has failed to deliver the parliamentary elections promised in 2005. The country operates under strict Shari’a Law which proscribes alcohol to those without special permits, which in some cases disallows female witnesses, and which can be difficult for Westerners to get used to. 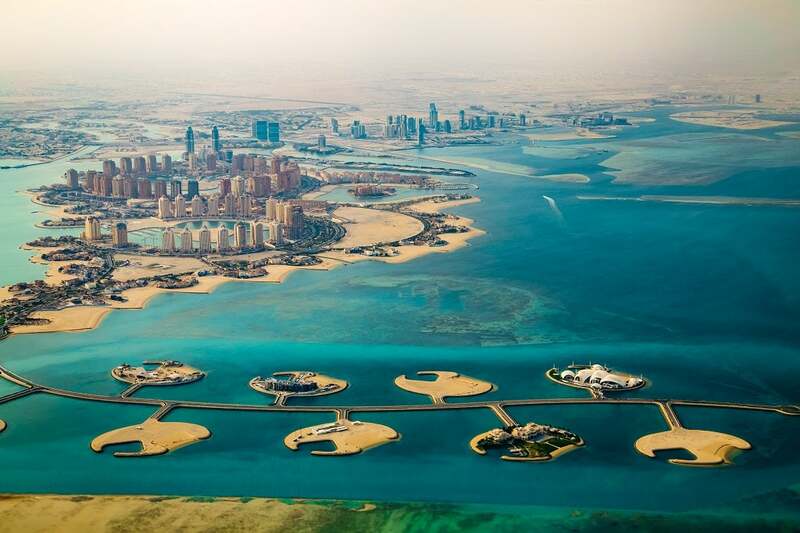 One must reside in Qatar for 20 years before citizenship can be applied for though foreigners have recently been granted permission to buy property in the Emirate.